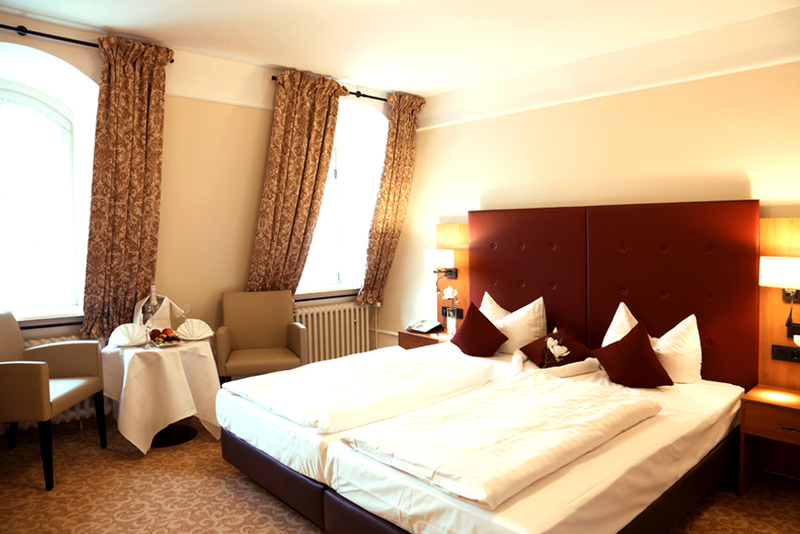 Bad Pyrmont, Germany, 2015-6-26 — /Travel PR News/ — The Hotel Fürstenhof in Bad Pyrmont has undergone a comprehensive programme of renovation. All 44 rooms have been perfectly adapted to suit the needs of regular hotel guests simply seeking relaxation as well as to meet the requirements of private patients and healthcare tourists attending the adjacent Fürstenhof Clinic. The whole of the hotel has been fitted with new furniture, carpets and wallpaper. It now features a colour scheme based on warm shades of wood. A minibar and a room safe have been installed in every room, and all bathrooms boast a modern glass shower divider. The Hotel Fürstenhof now offers an ideal symbiosis of time-honoured tradition and classical modernity in a building that dates back to 1777. Guests and visitors will also be able to enjoy the benefits of a restaurant serving regional specialities and two conference rooms. Steigenberger Hotels AG is one of Europe’s leading hotel companies. From its Head Office in Germany, the Steigenberger Group operates 110 hotels on three continents including 18 which are under construction or at the planning stage. Steigenberger Hotels and Resorts includes some of the most prestigious hotels in Europe, such as the Steigenberger Frankfurter Hof and the Steigenberger Parkhotel in Düsseldorf. InterCityHotel is a medium-price brand that offers 38 hotels located in city centres and at airports. “Jaz in the City” is a new creative concept that will be launched in Amsterdam in the autumn of 2015. This entry was posted in Hospitality, Hotels, Travel Management, Travel Services, Travelers and tagged Steigenberger Hotel Group, The Hotel Fürstenhof in Bad Pyrmont. Bookmark the permalink.